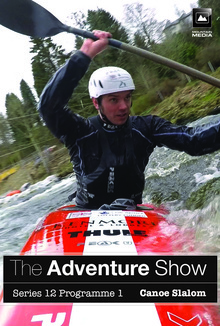 In the first of a brand new series of the Adventure Show we’re taking to the rapids and the stunning white water of the River Tay, near Aberfeldy. In the first of a brand new series of the Adventure Show we’re taking to the rapids and the stunning white water of the River Tay, near Aberfeldy. We’re here for the Grandtully Premier Slalom where Scottish athletes can be guaranteed to do well. This year Olympic Gold Medallist, Tim Baillie from Aberdeen, gives an expert’s view on the action. Also in this month’s programme Cameron McNeish heads north to meet a remarkable man who, 50 years ago, achieved one of the greatest feats in the history of adventure. Buy all available Series 12 episodes in one big package! Please note: The Fort William Mountain Biking is not included due to licensing restrictions.